A hunter once lost his way deep inside the jungle while chasing a deer. He used all his navigation skills but neither did he find any way out of the jungle nor could he find any food to eat for 8 days at a stretch. He started feeling so damn hungry that he could eat an entire elephant at one go. Disappointed, he lost all hope. And that is exactly when an apple tree caught his sight. He collected a dozen apples to feed him for the rest of his search. As he ate the 1st apple, his joy knew no bounds and he just couldn't stop feeling grateful and blessed. He thanked life. He thanked God. He could not believe his luck when he ate the 1st apple but he was less grateful while having the 2nd apple and even lesser grateful when he had the 5th apple. Somehow, with each passing apple, the hunger still kept on increasing and the joy kept on reducing drastically. 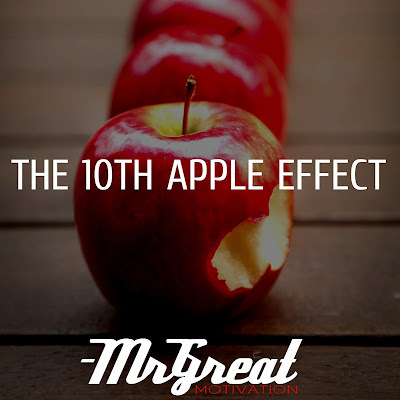 He just could not enjoy the 10th apple. Why? He had already taken for granted the gift of having found an apple tree in the middle of a forest after 8 long days of wandering with hunger. When he took the 10th apple in his hand, he was still very hungry but he just did not feel like having it anymore. Economics calls this diminishing marginal utility. I would like to call it diminishing gratitude, in simple words, taking things for granted. Or let’s just call it the 10th apple effect. The 10th apple did not lack taste, it did not lack the potential to satisfy his hunger but the only thing lacking was his gratitude for finding food in the middle of the jungle. The hunter represents us. And the apple represents the gifts that life gives us. The 10th apple represents our lack of gratitude for these gifts of life and our ‘take everything for granted’ attitude. As we continue receiving the gifts of life, our hunger, our greed keeps on increasing and the joy we get from these gifts diminishes. The 10th apple is as sweet as the first apple. If the 10th apple fails to give you as much pleasure as the first one, nothing is wrong with the apple, everything is wrong with you. If you get bored on a dull day, it is not because the day is dull and boring. It is because your gratitude has become dull and boring. The gift of life for another day cannot be taken for granted. The Nth year of life should seem as exciting as the 16th year, as the 25th year, as the 50th year. 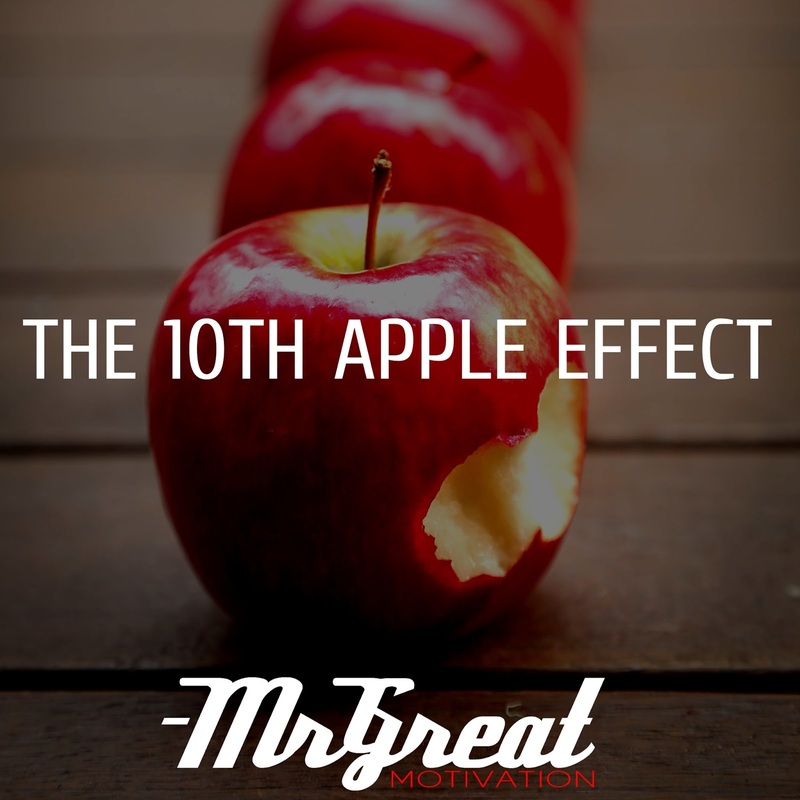 Never let the ‘10th apple effect’ make you take these gifts of life for granted. Never let your gratitude for life fade away. Happy life!